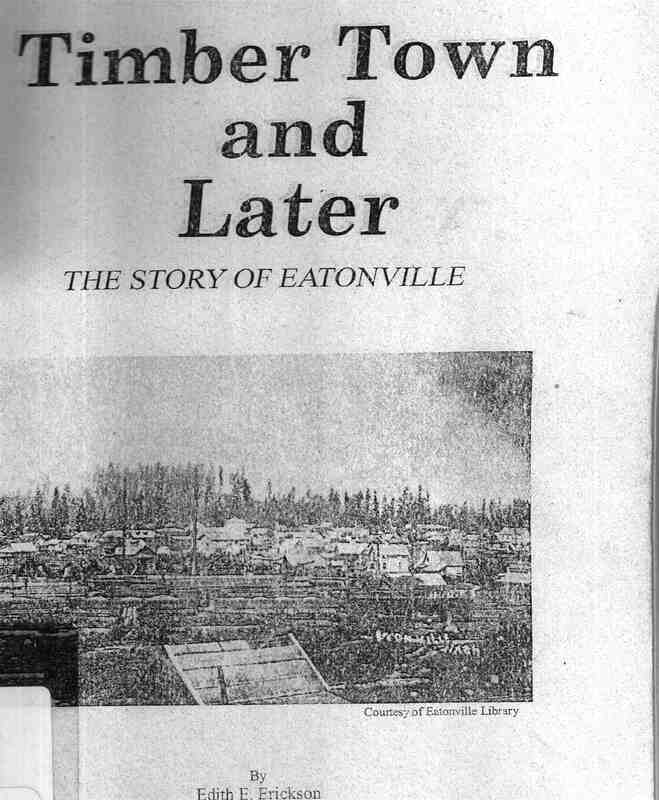 Timber Town and Later, the Story of Eatonville, written by Edith E. Erickson is a great read but should also be in inspiration to budding historians. Edith, born 1914, moved to Eatonville in 1990. She couldn’t find much information on her new community and started researching. Her research become this book. 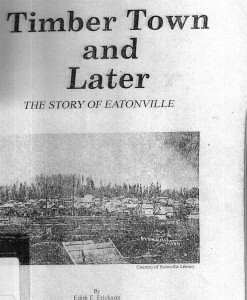 As far as I know, this 188-page book is only available through the Eatonville Library.